I was mob farming on the server and I was checking the tps time to time hoping I didn't cause any lag. But then I was thinking 'There must be a plugin to prevent this'. A plugin that stacks nearby mobs! "Are mob farms lagging your Minecraft server? Or do you have a very big world? Then this plugin will help you!" - Customizable radius for creatures to be detected in. - Creature type and spawn reason blacklist so not all creatures get stacked. - Checks to stop entities being stacked if they are tamed or leashed. - Option to have entities stack on a regular interval. - Setting for maximum stack size. - Option to prevent monsters from targeting or to remove all ai. - 'Special' stack rules for specific mob types. 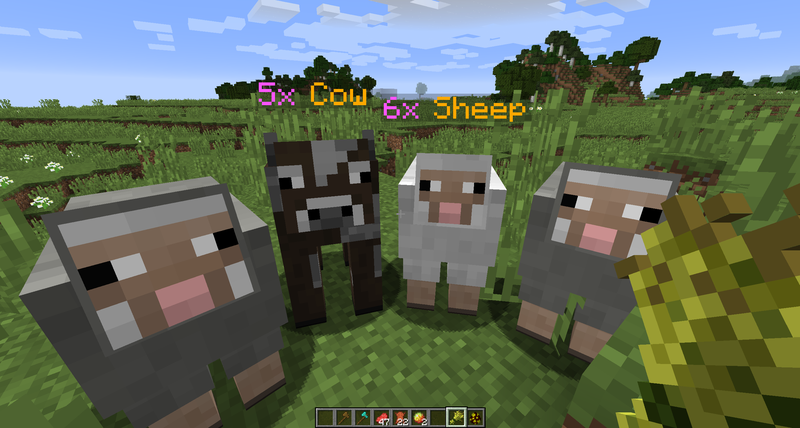 - Support for different entity colors, ages, if sheep are sheared and various slime sizes. - 'kill-all' so when a stacked creature is killed, all of them are killed at once and the drops are multiplied with drop chances. - 'kill-step' same as kill-all, but is only a random amount at a time between two numbers in the config. - 'kill-step-damage' like kill-step but uses the amount of damage dealt to calculate step. - Entity display name translation support. - Multiplication of loot and experience for all killing modes. - Custom 'entity-stacking' WorldGuard 7.0 flag to prevent/allow stacking only in certain regions. - mcMMO, MiniaturePets and MythicMobs 4.0.0 support. - Several advanced features, see the config below. I wanna suggest to only stack mobs really close to each other (2x2) and when there are more then 16. This will make it only is active in mob farms. I cant find any info if this is compatible with the enchantment sweeping edge. Maybe consider this plugin to prevent some lag. We tried. Incompatible with Silk Spawners.